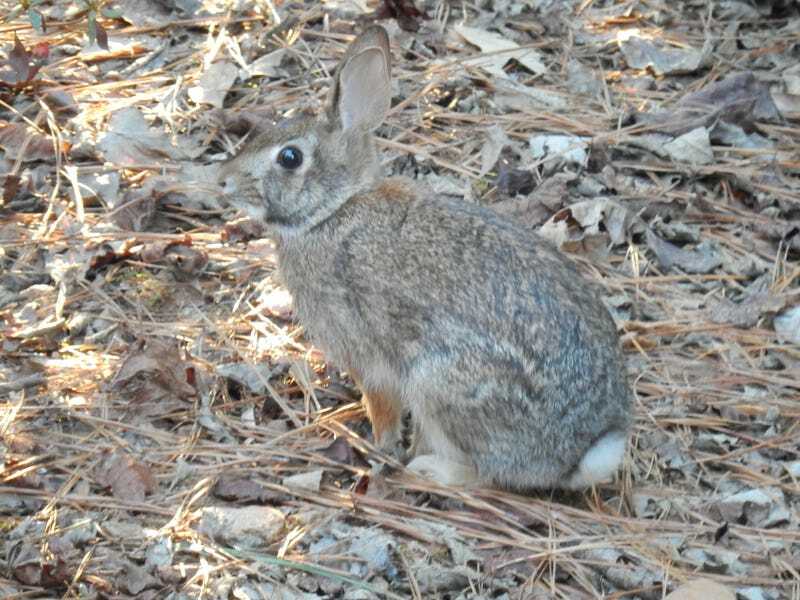 An Eastern Cottontail Rabbit (Sylvilagus floridanus) shows off his warm winter coat. This little fellow showed up just when I was testing out a a new Coolpix S9700 that I got my wife for Christmas. This would have been a great chance to have less depth of field and get my subject in focus against a blurred background. The 9700 might be capable of that with some manual aperture settings or something, but it was all I could do to capture this photo before the moment was gone.